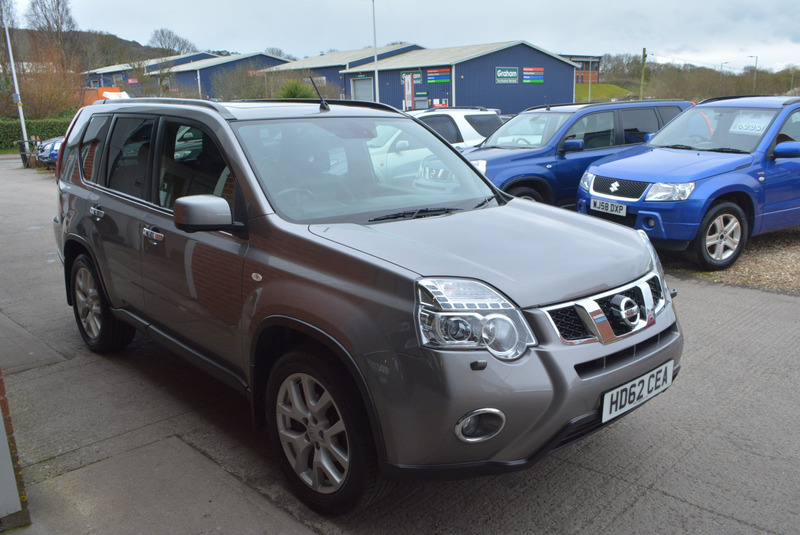 THIS EXCEPTIONAL TEKNA TOP SPECIFICATION 1 OWNER FROM NEW EXAMPLE WITH TOTAL NISSAN SERVICE HISTORY IS NOT TO BE CONFUSED WITH ITS COMPETITORS! FINISHED IN THE BEST COLOUR COMBINATION OF GREY METALLIC IN OUTSTANDING CONDITION WITH BLACK LUXURY FULL LEATHER INTERIOR, THIS TRULY IS A REAL CREDIT TO ITS PREVIOUS OWNER AND ITS CONDITION SHOWS ITS GENUINE MOTORWAY MILEAGE THROUGHOUT! SPECIFICATION INCLUDING COLOUR SCREEN SATELLITE NAVIGATION WITH REVERSING CAMERA AND 360% VISUAL CAMERA! FULLY ELECTRIC GLASS PANORAMIC SUNROOF, FULLY ELECTRIC HEATED DRIVER AND PASSENGER SEATS, UV PROTECTION PRIVACY GLASS IDEAL FOR CHILDREN, 18" ALLOY WHEELS WRAPPED IN GOOD TYRES ALL ROUND, DOWNHILL DESCENT OPTION, CRUISE CONTROL, A TRUE CHELSEA TRACTOR IN EVERY WAY AND AN EXCEPTIONAL VEHICLE INSIDE AND OUT! FIRST TO SEE WILL BUY THIS FANTASTIC MODEL.